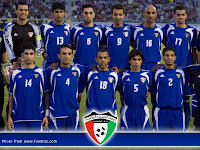 On the brighter side, we do not want our boys heading off to Bangkok feeling too cocky, now do we; and we may yet have to thank Kuwait for keeping our feet on the ground almost on the eve of the very same tournament that spawned the current football revolution in the country. Talk before the match of avenging last year’s losses to the same country over two legs of a World Cup tie was probably uncalled for. Thirty-five places, after all, separate the two countries in the latest FIFA men’s ranking table. But if ever a loss can be seen as fodder for optimism, then last night’s 1-2 loss to Kuwait stands out as a primary example. The Philippines were beaten, yes; but there was no meek surrender. It was the second half performance of the Philippines that caught the eye, indicative as it was of a team that has discovered that whatever gap there is still between it and the best of Asia, it is one that has significantly become not as wide as it once was. Albeit a friendly and Kuwait was in experimental mode, the scoreline is probably reflective if not of how the game ebbed and flowed then certainly of how the Philippines have progressed since the World Cup tie. While it can be argued that Neil Etheridge almost single-handedly kept the Philippines in the game during a first half when Kuwait were in the ascendancy, on the other hand that is why there are goalkeepers. It is not for us to rationalise and instead for us to consider it fortuitous that in Etheridge we have an excellent one. Rusty during the recent 3-country Asean tour, Etheridge last night displayed all the benefits that he is reaping from a loan spell at Bristol Rovers. Twice before the match was even ten minutes old, Etheridge made crucial saves after the Philippines defence was caught flatfooted by neat balls lofted over the top. In the 26th minute, he also made a double save off a penalty after a clumsy foul committed inside the box by Juani Guirado. Ironically, while many of Kuwait’s dangerous forays came down the Philippines’ right where Ray Jónsson was caught out of position time and again, the goal that finally beat Etheridge came from the opposite flank. Bader Al-Mutawa outpaced Dennis Cagara after being played through in the 34th minute and scored from a narrow angle. Etheridge would probably be not too happy about being beaten at his near post; but it was a situation that goalkeepers also have to be wary of a pull-back. The balance of play continued to favour Kuwait, who played with the fluency of a club side for the remainder of the first half. Michael Weiss, however, made two substitutions even before the half was over that would prove crucial after the break. Carli de Murga came in to plug holes left behind by Jónsson’s frequent but ultimately unsuccessful overlaps; and Phil Younghusband, after all the fuss about him and his brother being dropped from the Peace Cup squad, was sent in almost unnoticed to take the place of Marwin Angeles. With Paul Mulders dropping down to pull the strings from midfield and Angel Guirado sent in for Chieffy Caligdong, the Philippines gained more balance as a team and started to gain its lion’s share of possession in the second half. This was significant. While the goalless draw against Bahrain was widely celebrated, the result was achieved by pragmatic defending and ugly long balls that by-passed the midfield. Any attempts at possession were subsequently abbreviated. 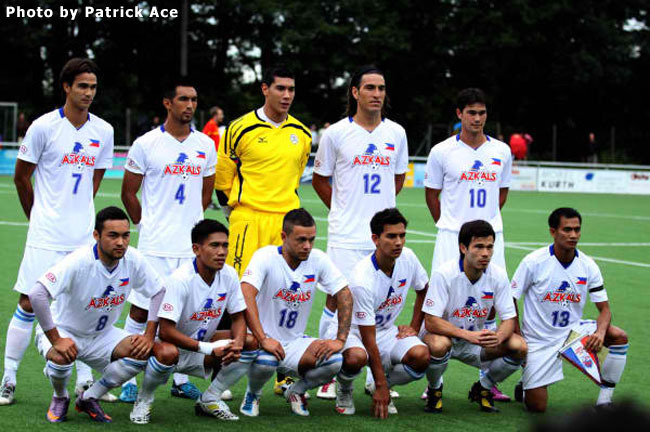 In the second half against Kuwait, the Philippines looked like a team that – albeit belatedly – realised that it is better to play against the eleven men rather than their collective reputation. In a way, it was a shedding of an inferiority complex or a coming of age. The Philippines put the ball down on the floor, supported the man on the ball and started to string together passes against one of Asia’s traditional big guns. From a dominant performance in the first half, Kuwait found itself suddenly with a game to play – particularly after Younghusband coolly scored a penalty in the 60th minute to equalise for the Philippines. The foul called leading to the penalty was in all honesty harsh; but then again, so was the one called against Juani Guirado in the 68th minute from which Kuwait regained the lead. In the end, Kuwait was probably deserving of the win. Gains in FIFA rankings aside, this result may yet prove more portentous of things to come than the draw against Bahrain. While the Philippines flew out to the Middle East to learn from their more experienced opponents, it is not far-fetched to say that the players probably learned more about themselves. To a certain extent, gaps between teams exist as psychological barriers that can only be bridged by overcoming the fear of reputations. Forget the first half and Kuwait’s one-goal lead which was as much due to Etheridge’s brilliance as it was to the hosts’ inability to finish. Suddenly, after a draw against Bahrain and a fighting if losing performance against Kuwait, playing against the best of Southeast Asia is not daunting anymore. Respect, yes; but never again fear.